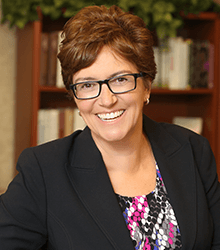 Meg has a comprehensive background in human resources, spending the last 22 years in Human Resource management in both New York City and Denver. She serves as a corporate facilitator for Wealth Legacy Institute. She is trained in Myers Briggs and organizational dynamics. She also has extensive training in assisting individuals in career and life transition. Meg has enormous capacity to listen to the issues, facilitate dialogue and assist individuals, families and nonprofits in constructive change management. Her education includes an MBA from the University of Denver, Denver, Colorado and a B.S. from Elmira College, Elmira, New York. Meg enjoys cooking Thai food, pilates, spending time with her family and planning community events. She is excited to cheer on the CU Buffs next year with her daughter, Arden, attending as a freshman and the East High Angels, watching her son, Hunter, lead the Varsity Lacrosse team.